In the VAB you can see as you build how much charge you generate and drain, how long the battery will last and filter various part groups. 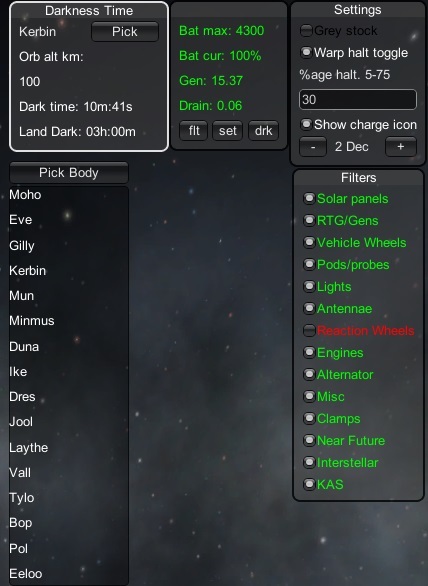 Calculate how long your ship will be in darkness on any body at a given orbital height or landed. In flight you have the same display (updated a few times a second), filters etc as you had in the VAB plus the emergency warp halter. This is on by default (but can be toggled off or the threshold changed) and will drop you out of time warp if your charge drops under 30%.